LEF file reader is an independent tool for open LEF file extension from any EnCase version V1 to V7. This tool allows browsing corrupted & damaged image files. EnCase LEF viewer easily explore LEF files of any size (500 MB) & any type without making single changes in scanned documents. LEF file viewer is allowed to browse all EnCase images with including details. This tool is capable to compressed hundred EnCase image files into a compressed file. 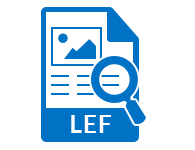 Stored scanned documents, image files & other information of LEF Documents. EnCase LEF reader easily exports any scanned images into JPEG, PNG, BMP, TIFF and GIF formats. LEF file reader contains easy to use & simple graphical user interface of EnCase LEF Viewer. This tool is used by everyone if they are home users or professionals users. EnCase LEF viewer supports easy to use batch conversion to export all images at once without affecting the LEF file extension. 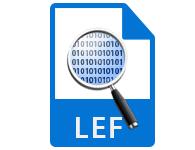 LEF file viewer browses the file formats from any version of LEF from V1 to V7. This tool explores any versions EnCase LEF image files in original format without effecting image files. 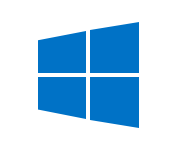 Encase LEF reader supports by any Windows Operating System version such as Windows 10, 8.1, 8, 7, Vista & XP OS. Step 1 Go to Start » All Programs » LEF Viewer to launch the software. Step 2 Click on File and Select the Open button to add LEF file. Step 3 Now choose the required LEF File & click on Open button. Step 4 LEF File Viewer will generate a preview of LEF File. What is EnCase LEF file format? LEF stand for Logical Evidence File. LEF format allows the examiner to preserve only the selected files from digital evidence, reducing the amount of data copied from a local machine while continuing to maintain the metadata and defensibility of the specific files preserved. I am having lots of LEF files and I am not able to open my files. Can LEF file browser help me to open the files? Yes, LEF file explorer is capable of view LEF file. This tool is open any type of LEF file if it is corrupted or damaged. Is there any limitation with this LEF file explorer tool? Any type of EnCase LEF file size or quantity of files limitations on this tool? No, There is no limitation of EnCase LEF file size or quantity of files. 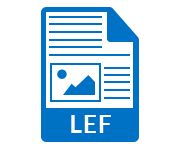 LEF Viewer support LEF file of any size (500 MB). You use this tool multiple times without any hassles. Is there any chance of corruption or damage in data, while viewing LEF file format? 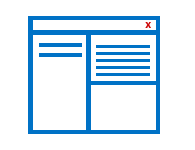 No, LEF file viewer tool is completely safe and secure to open LEF file, because it is fully tested and used by many end users. Can I open EnCase LEF file from any versions of Windows Operating System? Yes, LEF reader tool allows of view LEF file from any Windows Operating System like 10, 8.1, 8, 7, Vista & XP. "This is the best tool for Forensics Examiner. Many challenges come when to get evidence from EnCase, sometimes files get corrupted and recover data from this is getting hectic. But thanks to EnCase LEF viewer, nicely developed software." "Recently I faced a problem when I tried to get evidence from an EnCase LEF files, the file can’t open and showing error. I did lots of research over the internet for view LEF file, but I failed. Thanks to LEF reader which are the best tool for view any LEF files."